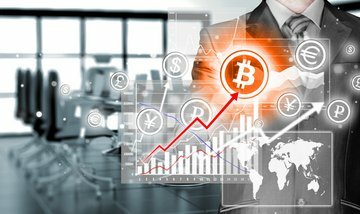 The company also has created a spot price tool in the Tera Bitcoin Price Index, which will draw data from six Bitcoin exchanges. TeraExchange said it had already signed up 50 clients for its Bitcoin derivative, with more expressing interest. TeraExchange said its Bitcoin derivative would function like many other derivatives. Customers can make a transaction at a specific exchange rate for a specific period of time, typically 25 days. For the purposes of that transaction, the Bitcoin value would remain stable for that entire period. "We took the construct that already exists for non-deliverable forwards for other currencies and used it here," Tera President Leonard Nuara told FierceFinancial. "We are pointing to an index readily available in the marketplace and we believe it is not susceptible to manipulation." In addition to merchants, the Bitcoin derivative appeals to payment processors, Bitcoin miners, and hedge funds. "The goal is for us to bring this to the Bitcoin community because there are many commercial entities that want to take Bitcoin in but have concerns about the price volatility," Nuara told MarketWatch earlier this year. More than 60,000 merchants already offer a Bitcoin payment option, but the digital currency's well-known volatility has prevented that number from rising more quickly. Merchants don't want to hold a currency that could quickly decline in value, which has been a risk with Bitcoin. The Bitcoin price peaked last fall at nearly $1,200, then fell to below $400 earlier this year. The Bitcoin price sometimes makes major moves of 10% to 20% in a matter of hours. Some merchants have solved the problem by using Bitcoin payment processors like CoinBase and BitPay, which convert the digital currency to fiat money (typically U.S. dollars) and accept the risk of any major price swings. But a Bitcoin derivative offers the merchants a way of avoiding the use of a third party if they so choose. At the same time, it offers companies like CoinBase and BitPay a better way to protect their businesses from a sudden drop in the Bitcoin price.